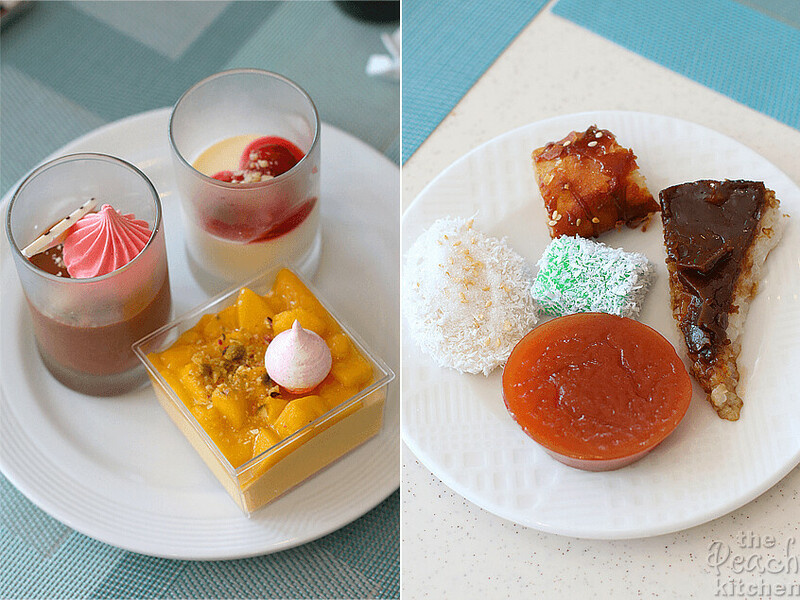 This isn’t the first time we’ve been at Taal Vista Hotel. 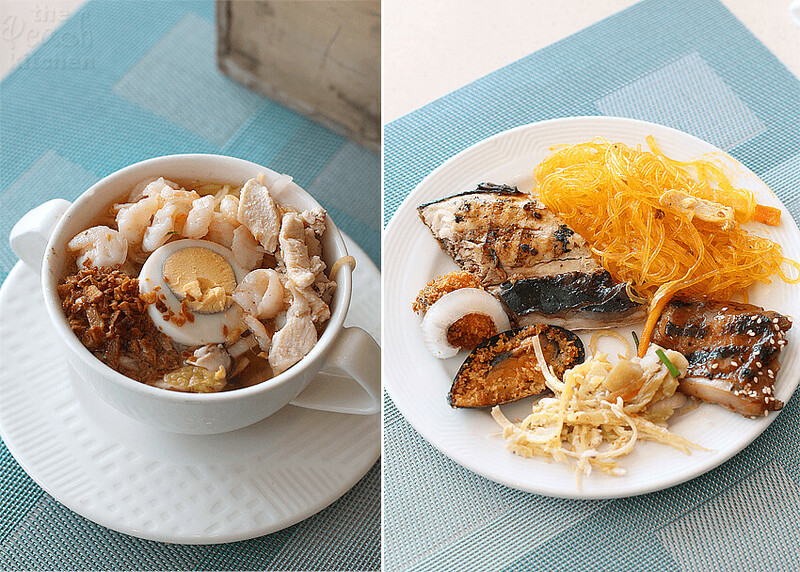 Four years ago, after celebrating Ykaie’s 6th Birthday swimming at Estrellas De Mendoza (Read Part 1 and Part 2 here) in Batangas, we decided to have lunch there on the way home. The food did not disappoint and I told myself that the next time we go back, it’s gonna be with peanutbutter♥ (who was working abroad at the time) and it’s gonna be for a staycation. Those thoughts were set aside for a long time because things got busy. 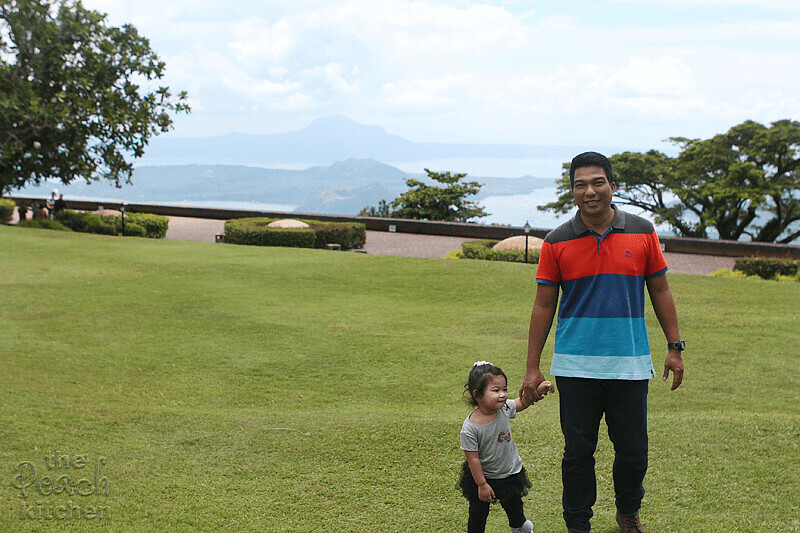 But last month, we were able to take a break from our busy schedules and spent a relaxing day at Taal Vista Hotel. 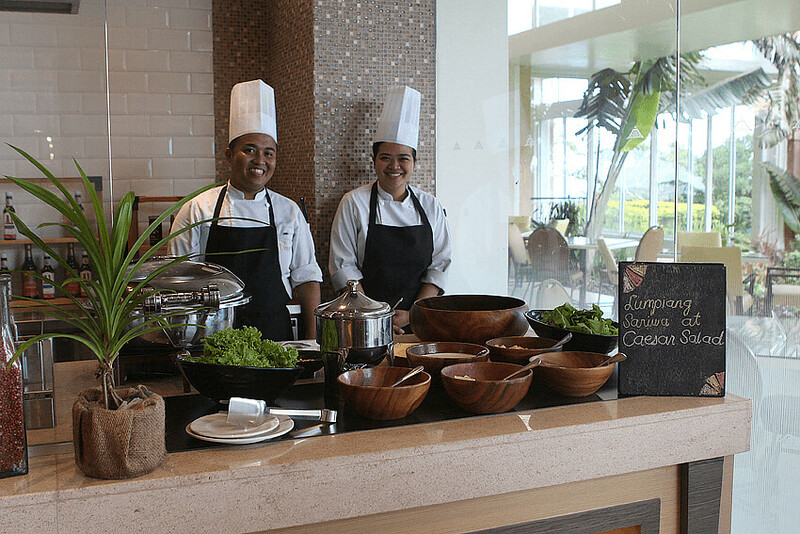 We arrived famished and just in time for lunch — perfect chance to try the lunch buffet at the Veranda Restaurant while waiting for our room to be ready. 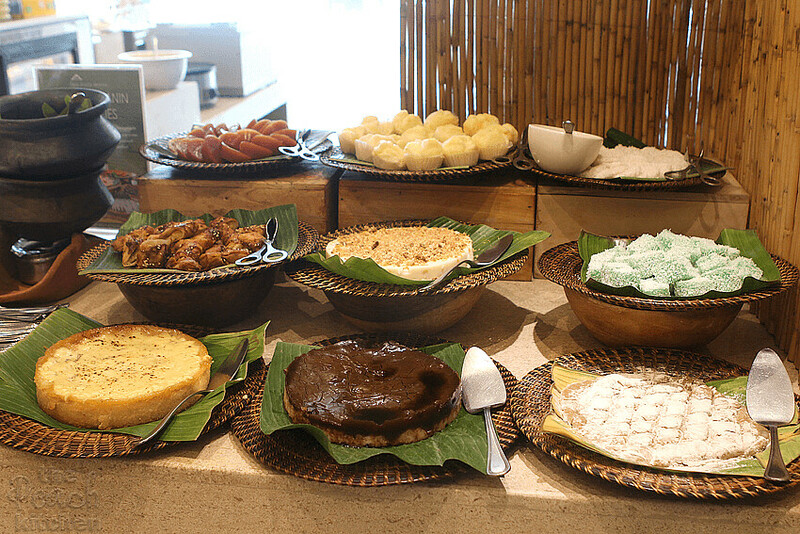 Veranda Restaurant buffet offers a variety of Continental and Filipino heirloom dishes. 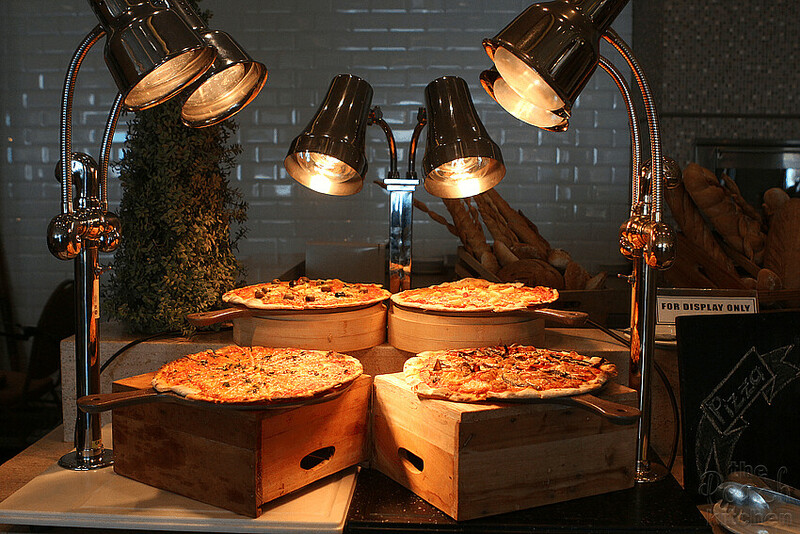 It opens up with the bread station, offering different kinds of breads and cold butter plus different kinds of pizzas. 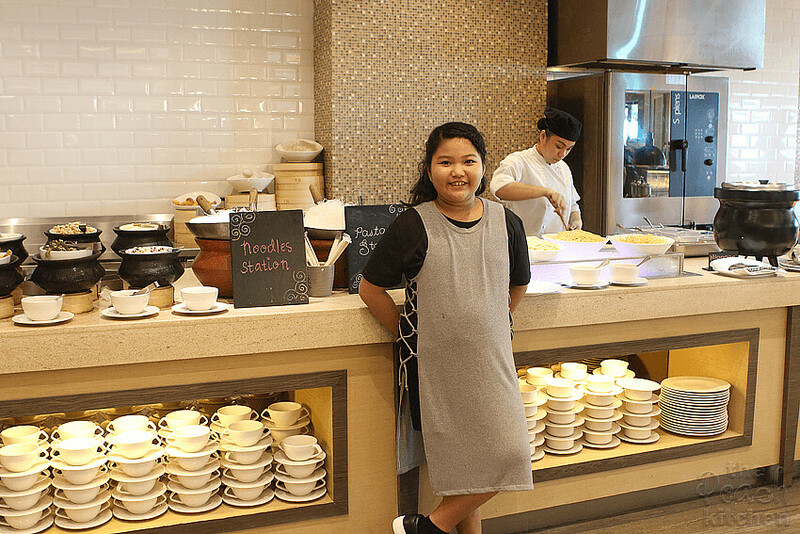 Kids (and kids-at-heart) will be happy to know there’s a Kid’s Station which offers dishes that kids love like Filipino Spaghetti, Chicken Fingers, Twister Fries, and Ham and Cheese Sandwich. 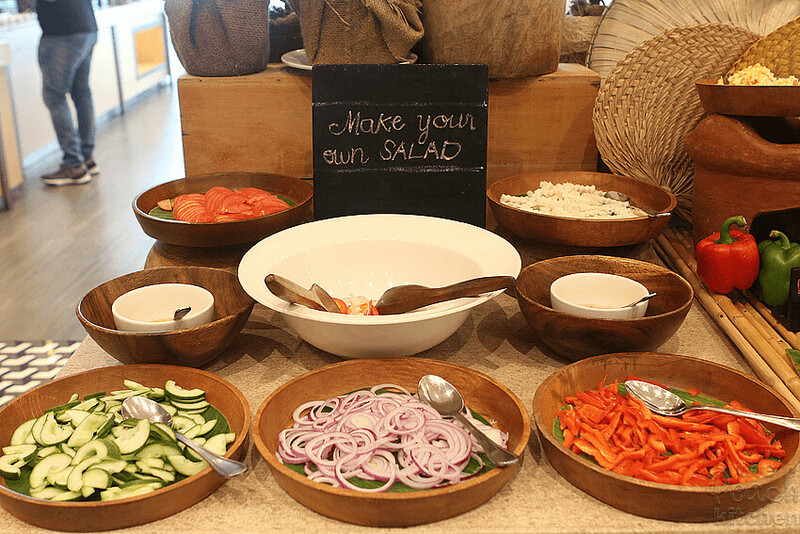 I love that there’s a back to back Salad Station! 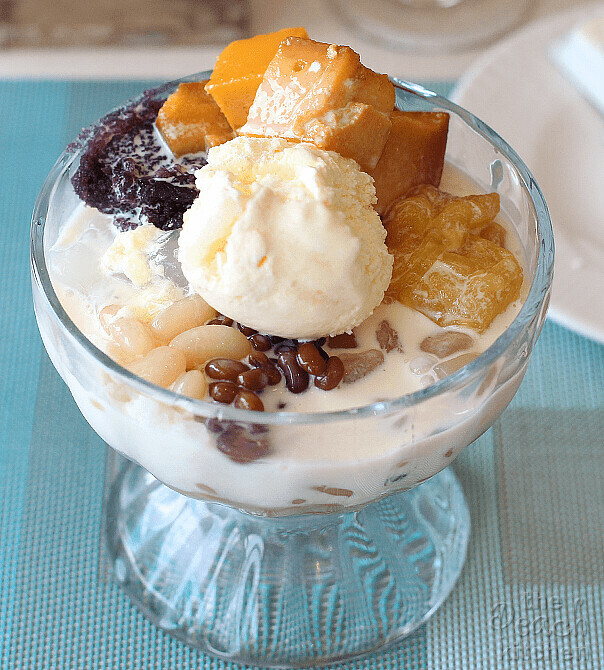 One side has Filipino Ensaladas like Ensaladang Lato, Ensaladang Puso ng Saging Sa Gata, Ensalaadang Singkamas, Ensaladang Talong, Ensaladang Ampalaya and Ensaladang Bayabas. It also has a Make Your Own Salad Station. 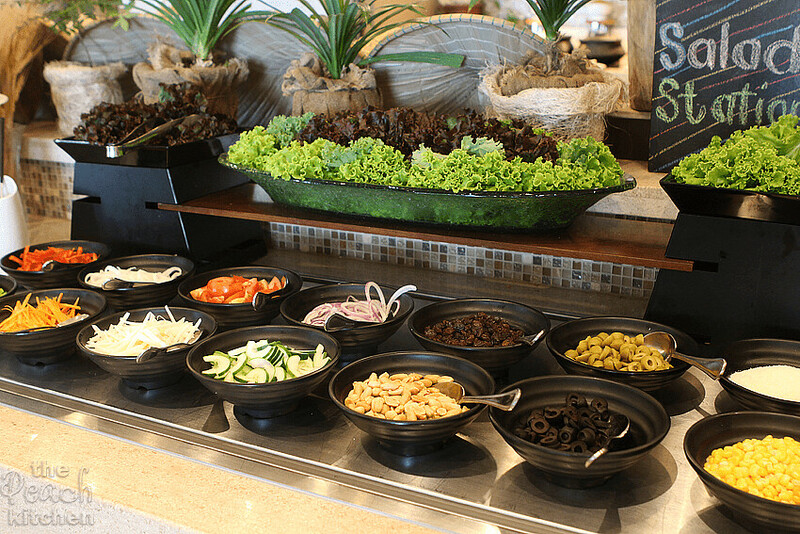 The other side has the foreign salads: Greek Salad, Marinated Peppers, Ceviche, and a make Your Own Salad Station with Balsamic Vinaigrette Dressing and Ranch Dressing. Here’s Ykaie in between the Noodles Station and Pasta Station. She’s waiting for her Carbonara with Bacon Pasta. 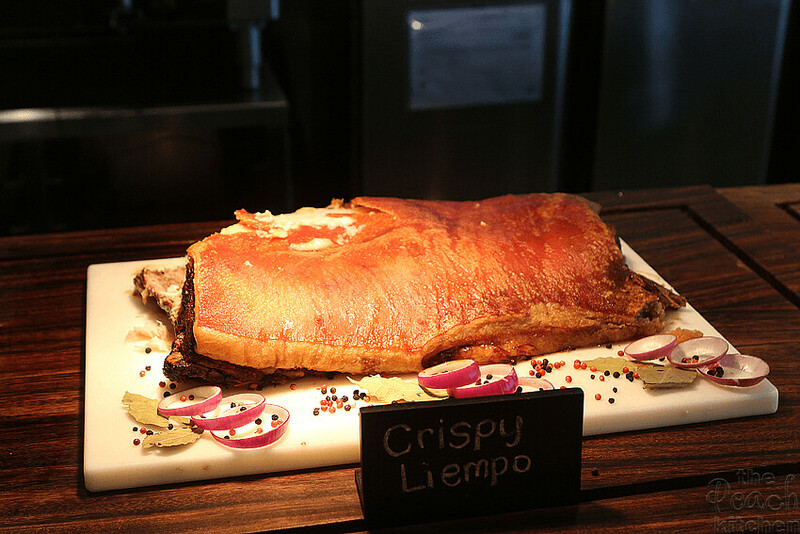 My cousin Rome (the one I had posing for me at the Salad Station) couldn’t stop raving about this Crispy Liempo! He said the skin is thick, tasty, and sooo crunchy and the meat as flavorful as the skin. 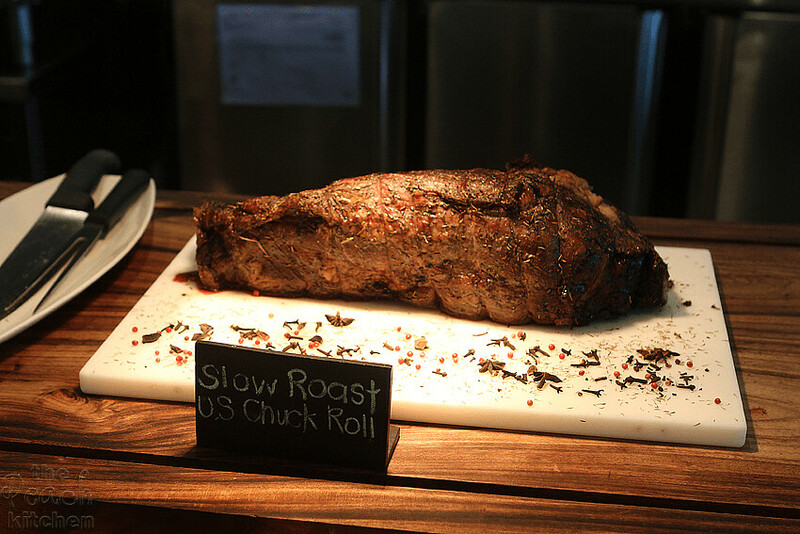 This Slow Roast US Chuck Roll is tender, juicy, and savory as well. 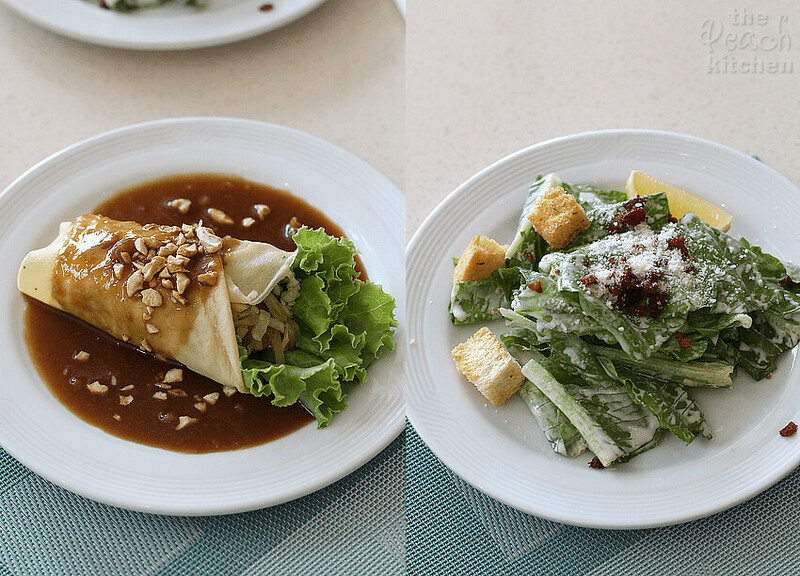 Here’s what I had for lunch: Lumpiang Sariwa and Caesar Salad — so good! I think I went back to get Caesar Salad three times. It was a lunch well-spent. 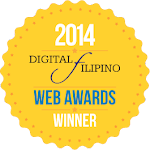 We capped it off with tea and coffee then went to our room for a little bit of siesta. 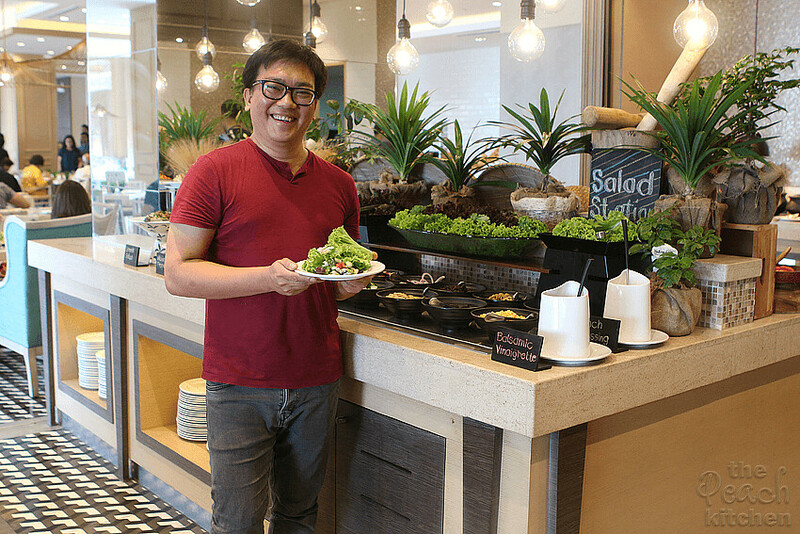 Should you find yourself in Tagaytay looking for a nice place to spend lunch with your family, I suggest you give Veranda Resaurant a try. I promise you won’t regret it. That sounds like such a great place to dine. All of the food there looks so good. I would love to eat there. 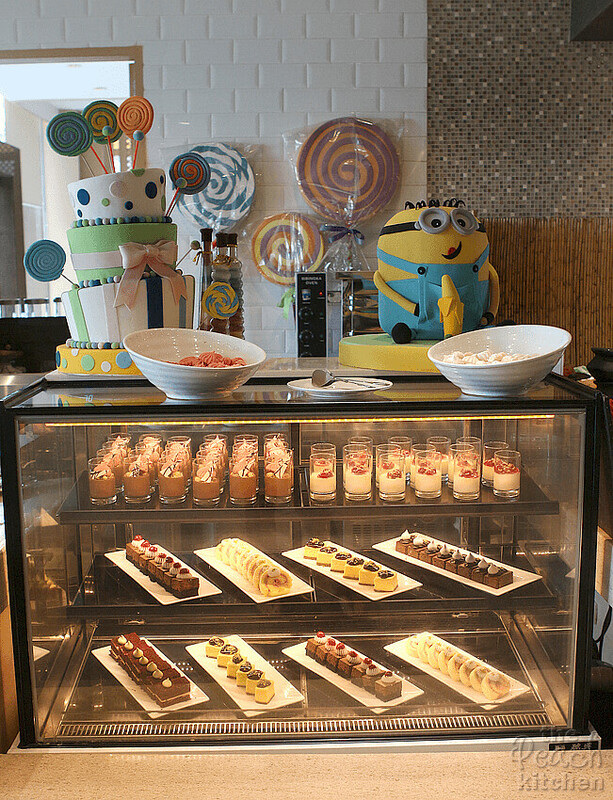 Oh yum, this looks like an amazing buffet! All the food looks scrumptious. I’d love to try it out one day. Oh my gosh I wouldn’t know where to begin. 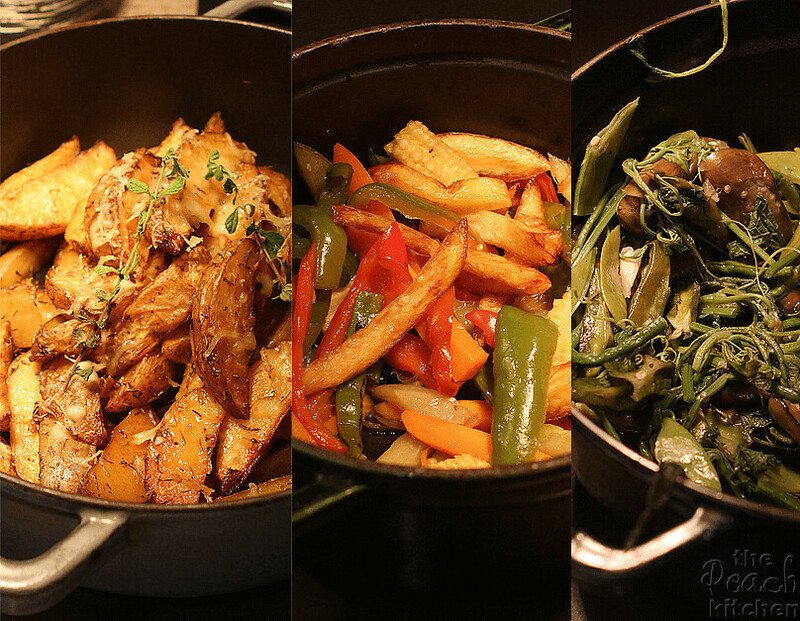 So much good food to choose from. 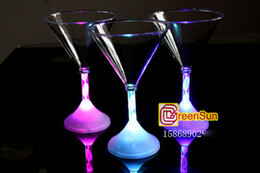 See why it is so popular. That food looks absolutely amazing to eat! 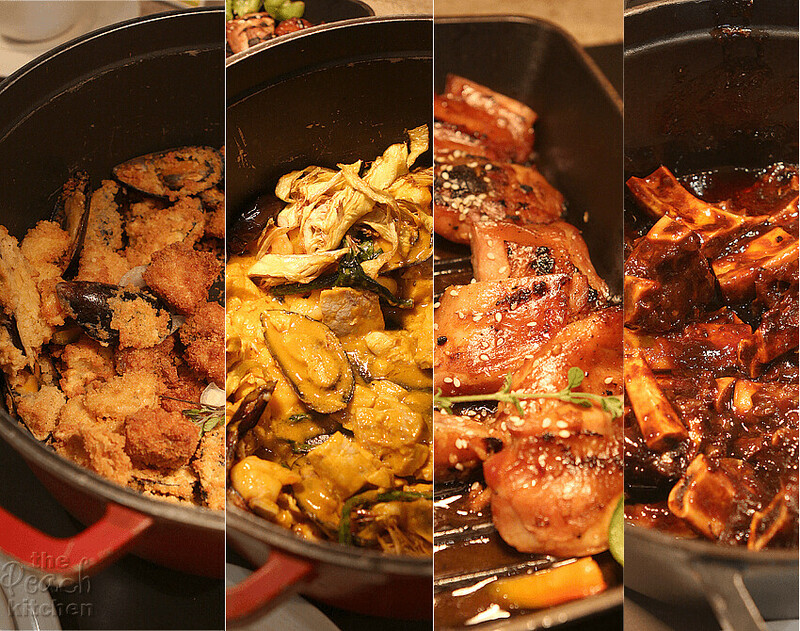 I love buffet style meals because then you can just go to town on whatever you want! 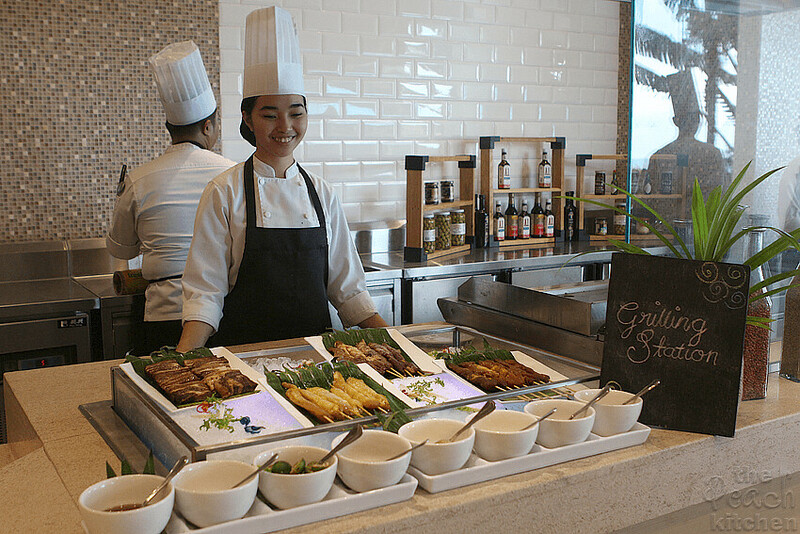 I’d definitely try the grilling station! Looks like a great place to eat and plenty of menu choices! The food sounds amazing. I would love to eat here some time and do some sightseeing too. 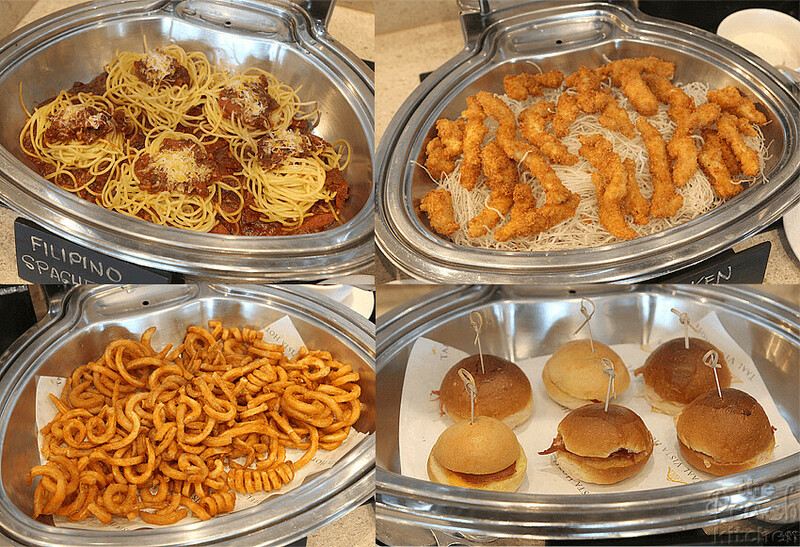 Oh my goodness how amazing does this buffet look! I would love to tuck in myself, it looks like they have such a huge range of choice, really offering something for everyone and the setting is lovely as well. That looks like a great lunch buffet. There was something for everyone, it seemed like. That Caesar salad looks tasty. Wow! 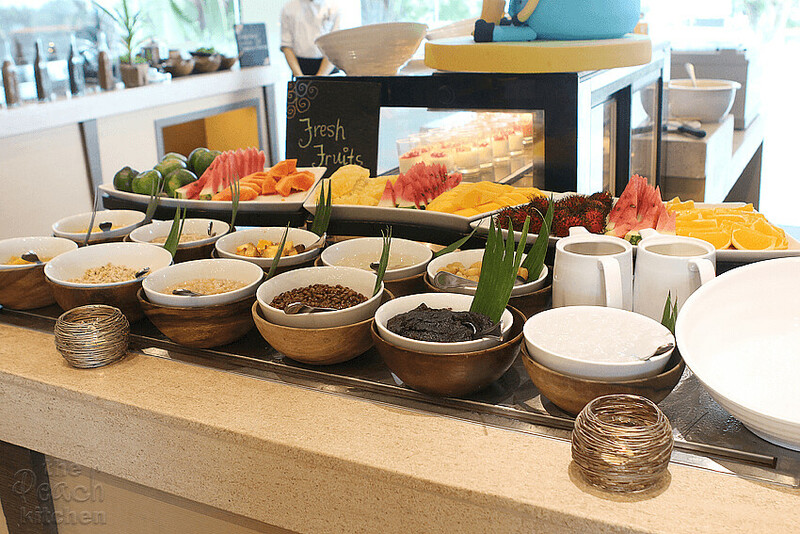 Now that’s an AWESOME buffet! What a beautiful location and view. Not to mention your girls are precious. What a lovely buffet! It seems like they have everything a family could want while staying there! Your plates looked delicious. 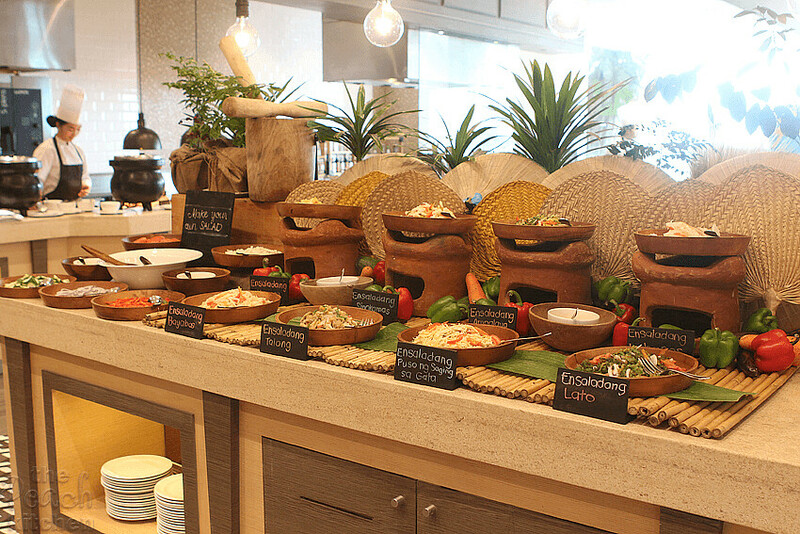 The lunch spread looks really sumptuous. I like the fact that there is a separate kid section as this will help the kids to have what they like. The DIY salad section also looks pretty interesting. 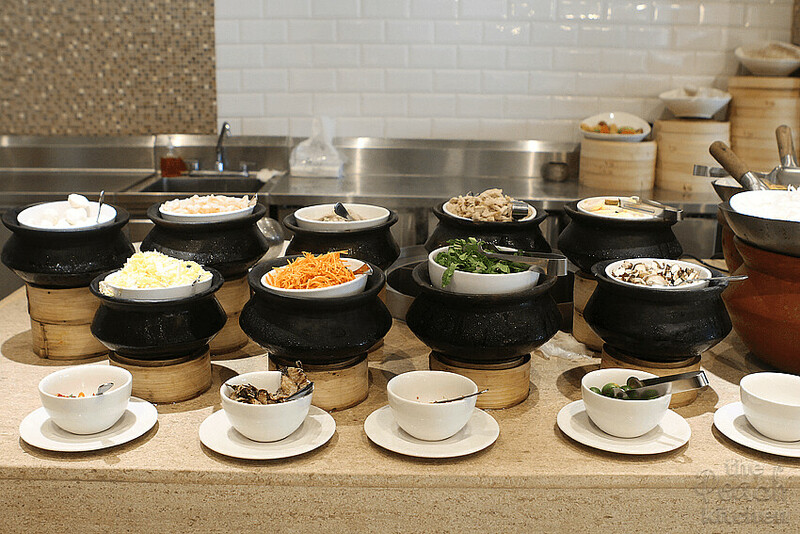 Wow, the noodle station looks amazing, I need a place like that here. I love that the kids get a different place to eat. They really do have something for everyone. What a great selection of tasty looking food! It looks like you guys had a great time! I am so glad you enjoyed your time at this hotel and restaurant. The food looks so delicious!